In a small saucepan, combine Vegetarian Stir-fry Sauce, oil, Soya Sauce, honey, garlic, Sesame Oil and water. Place over a low heat and stir until warmed through. Turn off heat. Trim the ends from the broccoli, slice each stem lengthways and cut into lengths. Heat a large saucepan of water to the boil over high heat. Add broccoli, turn off heat and blanch for 2-3 minutes or until stems are tender. Drain well and place onto a serving platter. Pour over the sauce and garnish with sesame seeds. 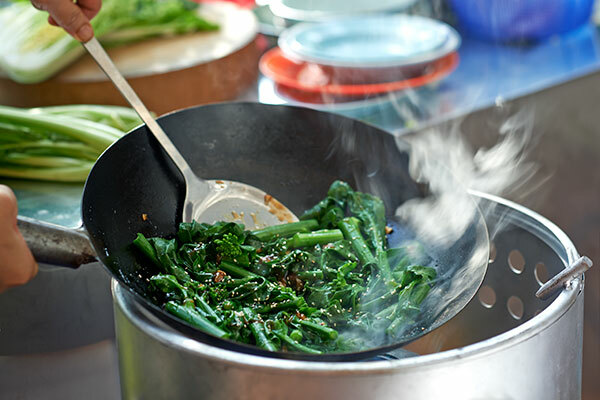 Tip - Use other Asian or green vegetables for this recipe - buk choy, pak choy, choy sum, broccolini or asparagus.